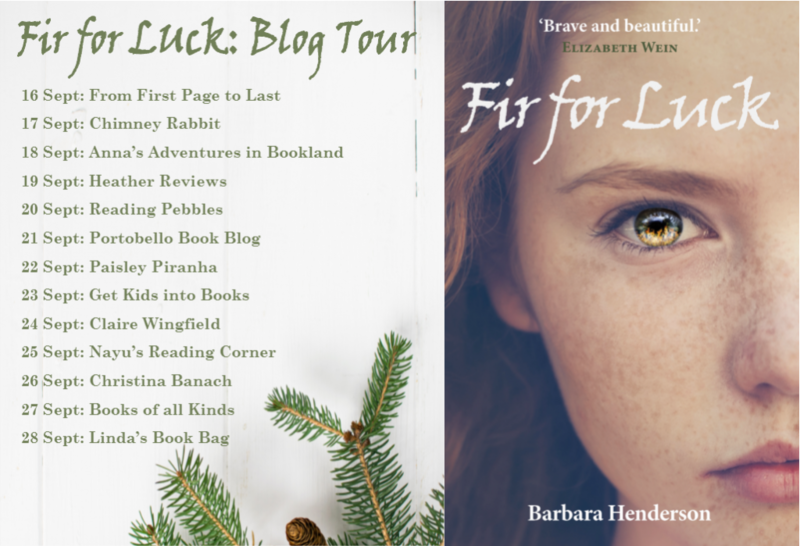 I’m delighted to welcome Barbara Henderson to my blog today as part of the Fir for Luck blog tour. 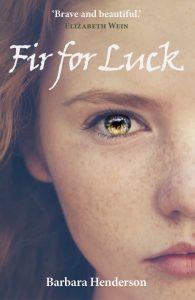 Fir for Luck is a tale of the Highland Clearances, that darkest of times in Scottish history; it’s an atmospheric and thrilling debut novel from an exciting new talent in children’s fiction. My review will be up later today; in the meantime, Barbara is going to talk about the location that inspired the book. I spent about a year right here. That’s right, rolling waves, brilliant white surf, often blue skies, air fresher and saltier and more alive than pretty much anywhere else. It’s one of the perks of the writer: You get to hang out WHEREVER you choose. And once the story had taken hold of my imagination, there was nothing that could keep me away from this place. Sometimes I would pop into the amazing Sutherland landscape for five minutes, after school and just before the basketball run. Sometimes I’d take up residence for luxurious hours – a day off when all the children were at school, one the precious days declared, haltingly, a writing day. Of course I didn’t know that it was going to be the place where my imagination would decide to make its home for a while. It began with actually visiting the place for real, family in tow. It was the summer 2013 and will forever go down as one of the happiest in my life for two reasons: I discovered the Durness area and the Ceannabeinne Clearance village, and I was shortlisted for the Kelpies Prize that summer. I did not win it, but it was a huge boost to my confidence as a writer. Why did we visit that particular area? I had read John McGrath’s The Cheviot, the Stag and the Black Black Oil at university and had always wanted to visit Sutherland to find out more about the Clearances, such a dark and fascinating period in Scottish history. We bought a tent and set off on our way. 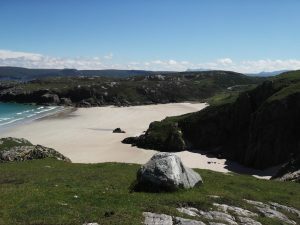 Somehow, we managed to pick the windiest and most precarious spot on the Sango Sands, and during our first night there it seemed a question not whether we were going to be blown off the cliff but which side of it we’d tumble down. Despite the lack of sleep though, there was a magic to the place that was hard to describe. I was to draw on the memories often when describing the ‘waves pounding the rocks below’, the wind, the air, the sounds, the smells. Even before visiting Ceannabeinne and its excellent walking trail, I had been struck by the fact that the books available to children on the subject of the clearances are few and far between, and for the most part a little old-fashioned. I had wanted to buy my children a book about it and decided against it – here seemed to be nothing fast-paced enough out there. I was only a few steps down the path before I realised that I had stumbled across something extraordinary, and I began to take photos of the information plates. I could see the hill the character Mary ran up, and where the cattle grazed. I could imagine the islanders rowing across from Eilean Hoan. I knew there was a cave on the beach because my children had played in it while I took just a little longer on the trail, pen flying in my notebook. There had to be other visits – a clamber up the hillside, a day trip on my own to flesh it all out, a drive up the proper Strathnaver Trail where Granna’s story of the flashbacks is set. I’ve travelled a bit, but that particular part of the world has to be one of the most beautiful and evocative I have ever come across. By contrast, most of the real inhabitants of Ceannabeinne in 1841 most likely had not even visited any other area of Scotland, never mind beyond. And yet they must have known that by being evicted from such a place, they were not just losing their homes. They were losing a slice of heaven. 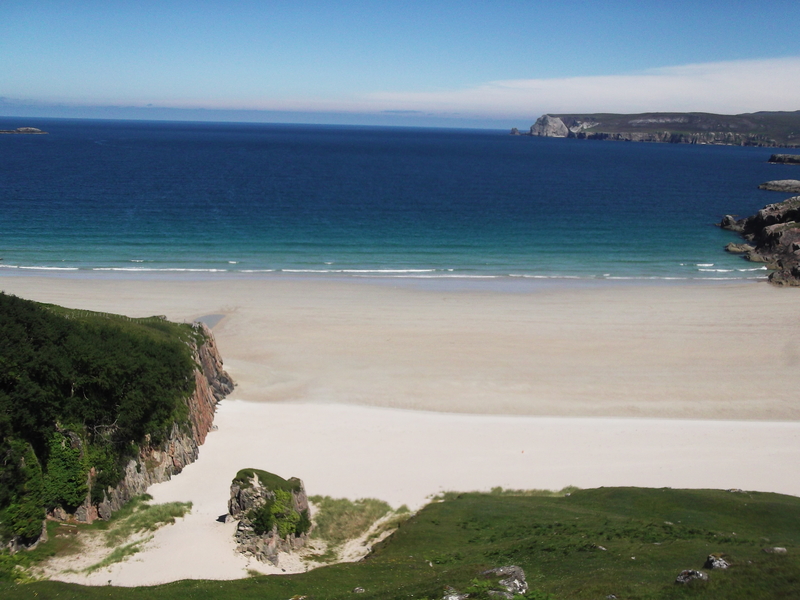 Postscript: I can’t wait to head back up the coast shortly to visit Durness Primary school. Incidentally, Janet’s schoolhouse, the real schoolhouse of Ceannabeinne, still stands and is now holiday accommodation. Barbara Henderson is a writer, puppeteer, and drama teacher living in the beautiful Highlands of Scotland. First and foremost, her writing is aimed at children, but she also enjoys dabbling in short stories and Drama. 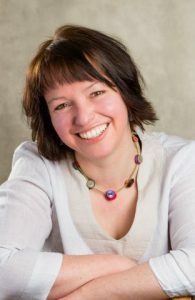 She is in the process of re-starting a book festival in her hometown of Inverness and has just signed up to co-ordinate the Highland Hub of SCBWI (Society of Children’s Book Writers and Illustrators). Oh yes: And she does have a soft spot for all things puppetry. You have been warned!